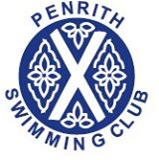 PENRITH Swimming Club’s juniors aged between nine and 11 competed in the B final of the Diddy League at Kendal on Saturday. For a variety of reasons the club experienced difficulty in raising a team and the non-availability of some regular competitors did not help their cause. Penrith came third out of the five competing teams with a total of 131 points, and had it not been for four disqualifications, they would not have been far from finishing second. Star of the show was Laura Huggon who not only won the 11-year-old girls’ 50m freestyle at Kendal, but was quickest overall in the county in a time of 32.88, more than half a second ahead of the second placed girl. She was also second overall in the 11 year girls’ 50m backstroke in a time of 39.12. In these two events she therefore contributed a total of 21 points. Vicky Lydon was placed third overall in 38.11. The girls as a whole competed extremely well and ensured that the club finished eighth out of 10 teams over the season.